Panasonic AC stands the test of time. 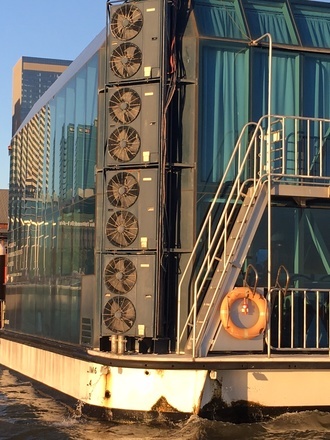 Turner Engineering supplied eight 14kW Cassette units for installation on the Crystal Swan floating restaurant over 15 years ago. Four of the units were only replaced last year and the other four are still going strong. Not many products would stand up to the rigours of this type of corrosive environment for this period of time. Another example of the quality and durability of Panasonic AC products.